Natalia is captivated by the Dream Catcher brought in chains to be entertainment at a socialist’s soiree. A Dream Catcher is a man who can pulls dreams out of the imagination and make them seem real. Socially shunned Natalia discovers that the Dream Catcher has been brought to reveal her desires publicly and make a fool of her. She retaliates by sneaking down to the cellars that night and releasing the Dream Catcher from his captivity. But Oison had already entered her dreams, stirring to life her loneliness and regrets, showing her a way to happiness. Releasing him is difficult, because freeing him means losing the one person who truly understands her. 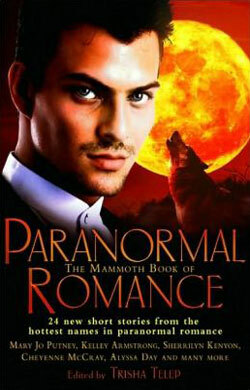 A short story in the Mammoth Book of Paranormal Romance II anthology.